A round-robin tournament is a competition in which each competitor plays every opponent exactly once. 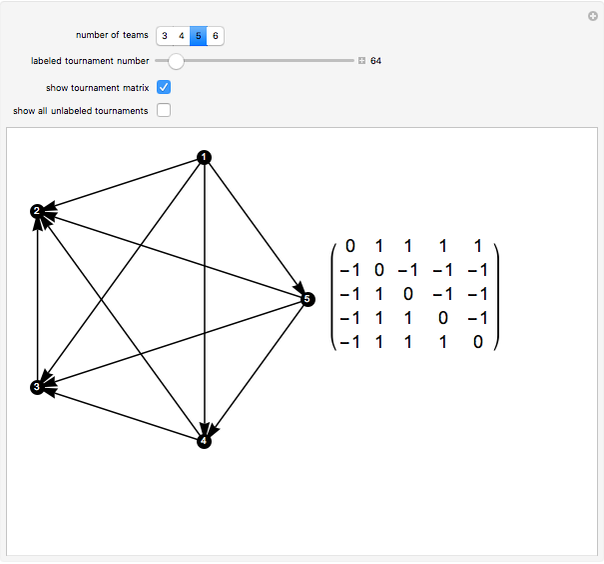 Mathematically, a (labeled) tournament is a directed complete graph: the labeled vertices represent the competitors, and a directed edge from vertex to vertex indicates that competitor has defeated competitor . 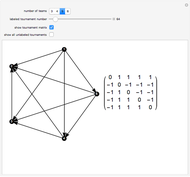 Traditionally it is assumed that ties are not permitted, so that each edge in the directed graph goes in exactly one direction. 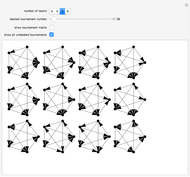 The matrix of a tournament is the skew-symmetric matrix defined by if competitor defeats competitor , if competitor loses to competitor , and for all . 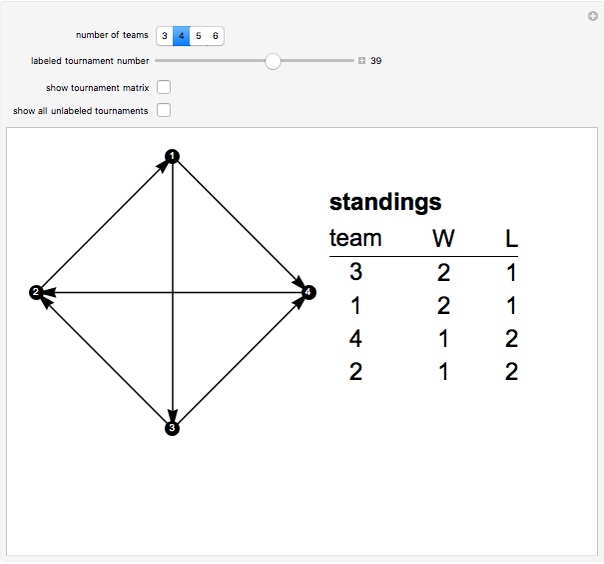 While in real competition, knowing who is ahead in the standings is important; mathematically we may simply be interested in the structure of the results of a tournament and not which competitors actually win or lose. If we remove the names (numbers) of the competitors, we get an unlabeled tournament. 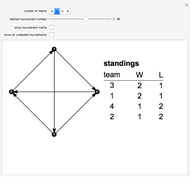 This Demonstration shows all possible tournaments with competitors for through , the resulting standings, and the corresponding tournament matrix. 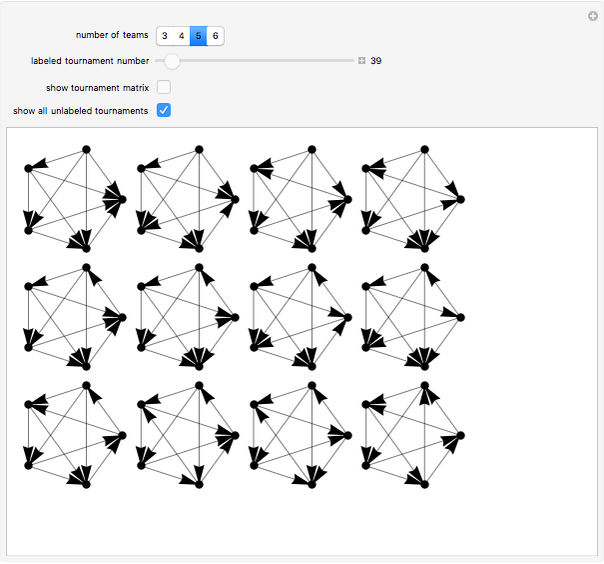 In addition, all unlabeled tournaments on vertices up to isomorphism can be viewed at one time for through . Marc Brodie (Wheeling Jesuit University) "Tournaments"